Mr Kimble sat across from Miss Lacey, eyes locked over the teapot like two duellists at dawn, staring down the length of their pistols. She had arranged them on the china plate before Creighton could intercept them and proffered them to the master. He had demurred, but he would soon have to eat one, or Miss Lacey would act offended beyond measure, and the whole of the ton would think Mr Kimble a most discourteous gentlemen. It had all started with the manuscript. Brought to the house by one of Mr Kimble’s associates, it was most definitely Carolingian in origin, and described the most fantastical alchemical rituals in beautiful illuminations. Some of them were gold leaf, Creighton observed. He also observed the unmistakable flecks of blood across the wax wrapping, but was as discrete as ever as he handed the man the appropriate tender from his master’s strongbox. But it was more than an antique. The Royal Society forbade trafficking in unapproved spell texts, not since the Dynastic Wars. It was obviously the sort of thing one was willing to kill for. The sort of thing Miss Lacey had a reputation for obtaining. Whether it was for herself or another, that was unknown. Creighton stiffened. Mr Kimble could not continue to studiously ignore her. Creighton could see his master’s fingers twitch. He would have to take one now or else the situation might escalate. Mr Kimble knew they were tampered with, somehow, and his only other recourse would be to strike first. There might a spell-duel, and both their reputations would suffer, if Mr Kimble was not stripped of his rank. Miss Lacey drained her cup, replacing it on its saucer. She reached for the teapot, and Creighton saw his moment. “Allow me, madam,” offered Creighton, and he picked up the tea pot. 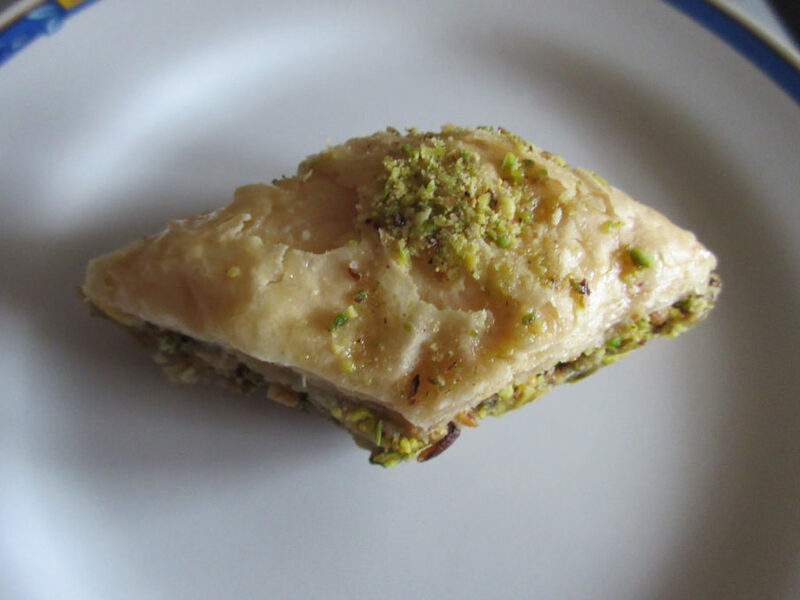 In one spectacular display of oafishness, Creighton dumped the entirety of the teapot onto the plate of baklava. As the brown liquid seeped over them, tea sloshing to the rim of the plate, they began to dissolve into lumps of inedible material. The layers sunk into one another, forming unappetising sludge. As he used his linen napkin to soak up the spilled tea, Mr Kimble winked at his butler. Miss Lacey’s displeasure was evident. She snapped open her fan to cover her twisted mouth. She stood, and beckoned to her lady’s companion. She swept from the room. When the dust of exit had settled, Creighton breathed a sigh of relief. Miss Lacey would have a swift retribution for his interference, but his master could protect him from that, better than he could himself. He went to pick up the tea tray. “I did my duty, sir,” he replied, and went to take the pastries to the fire to burn.